A comedy production company that produces high quality comedy shows at an affordable price! We produce full length comedy shows, featuring nationally touring acts in venues across Southwest Florida. Chuckle Hut offers weekly, monthly and bi-monthly comedy shows. 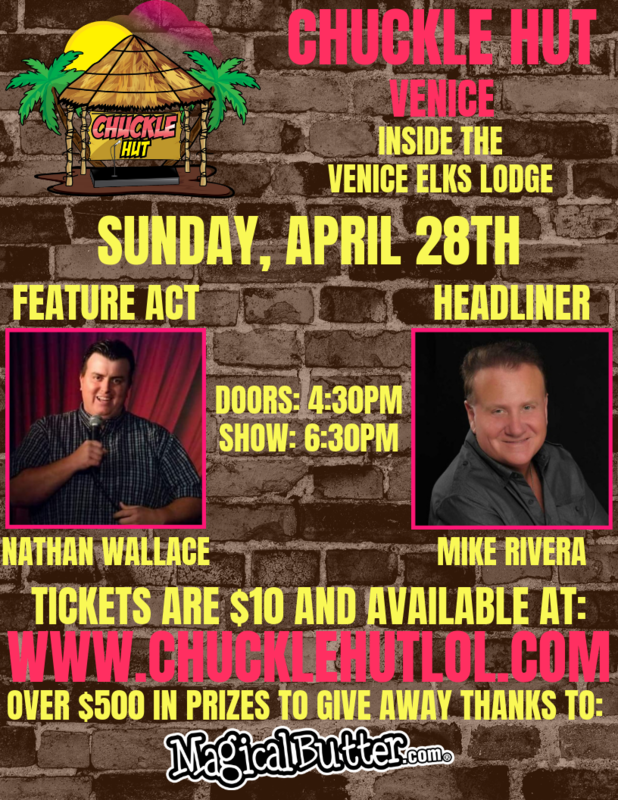 Each Chuckle Hut show is 90 minutes in length, featuring three professional comedians: a master of ceremonies, a feature act and a nationally touring headliner. 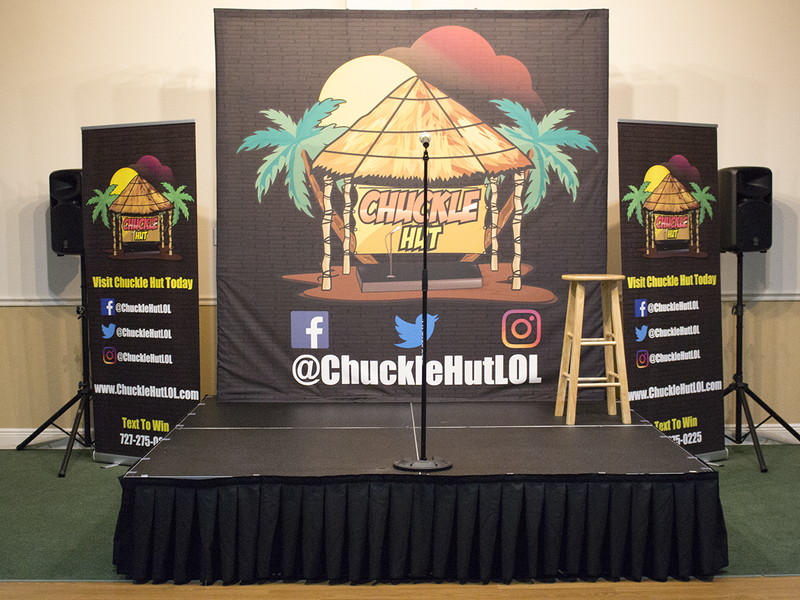 Chuckle Hut provides venues with an IntelliStage 8'x8' Portable Stage System, a portable PA sound system, two retractable Chuckle Hut banners, and a Chuckle Hut backdrop for the stage. From booking and paying the comedians, to the technical setup and breakdown of equipment, Chuckle Hut handles all aspects of production for each show. The marketing of shows, ticket pricing and revenue splits are negotiable.